Some names immediately conjure images in the mind of harsh conditions, surrounded by dangerous, even deadly inmates, desperate men with nothing left to lose, and thus nothing to restrain their impulses. Alcatraz is one. Sing Sing is another. Around the world, throughout history, notorious prisons were established – some for the detention of those in debt, others to hold political or personal enemies, and some for the incarceration of those guilty of crimes. The castles of the nobility almost always were equipped with dungeons and cells, for the purposes of incarceration, torture, and execution, as well as other somewhat nefarious activities. The tiny isle of If is the smallest of the Frioul islands which are situated just outside of the Bay of Marseille, for centuries the site of one of the most important ports of France. In the early sixteenth century King Francis I, recognizing the island’s strategic value regarding defense of the port of Marseille, ordered a fortress erected on the island, built from stone harvested there. The fortress was completed about 1531, and throughout its existence never came under military attack. Called the Chateau, the structure contained dungeons and cells in tiers, and was used as a prison. Wealthy French noblemen who could afford it paid to serve their terms of incarceration there in the upper tiers, with a suite of rooms. The poorer who could not buy luxuries were kept in dungeon cells, with up to 20 sharing a single cell, sleeping on the stone floors, and sharing a bucket to relieve the calls of nature. 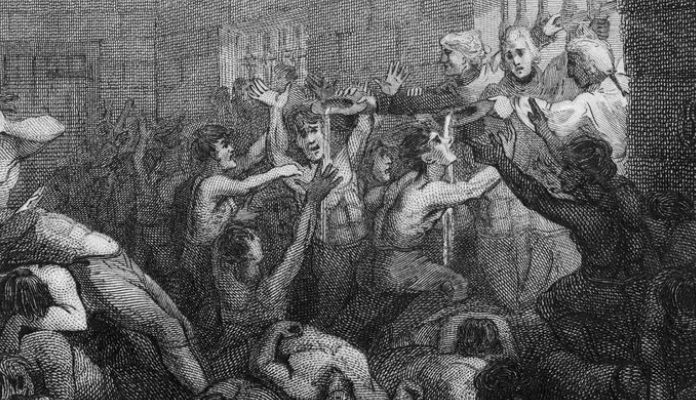 By the beginning of the 19th century, it was the most feared prison in France. More than 3,500 French Huguenots were sent to the Chateau, which became famous throughout Europe when Alexandre Dumas used it as the setting of the novel The Count of Monte Cristo. Since many of the prisoners sent to the Chateau were never documented, dispatched to prison on the whim of a noblemen or priest before the French Revolution, the number of people who died there is impossible to estimate. In the 20th century the Chateau d’If became a tourist attraction, reachable by boat from Marseille. Throughout its history there was never a documented escape from the prison.